Ted Larson of OLogic, Inc. The local IEEE Robotics and Automation Society Chapter and Consumer Electronics Society Chapter are co-sponsoring our event. A small robot flashes lights while scurrying across a carpet while it’s being tested for its ability to avoid obstacles such as walls and people. Laughter comes from the lab, with talk and banter about which replacement part to use in the company’s latest project. “Dude, make sure that sensor won’t blow up on us.” It’s just another day at OLogic, Inc., a Santa Clara embedded systems research and development company with a focus on robotic applications and technologies. Along with his team of engineers, OLogic CEO and Co-Founder Ted Larson has helped launch over 100 successful robotics projects in the toys, education, consumer electronics and service robots industries. This talk will reveal the secrets of their success, which are primarily a special formula of Teamwork (people) and Working Environment (culture, tools, investment). Teamwork: The best advice Ted can give is to never be afraid to take good advice from someone you trust. Hire smart people, build a strong personal network, and let your employees think outside the box. Give them flexibility and listen to their ideas. Working Environment: Build an awesome working environment. Make it like a playground and you will attract the best talent. Give your employees the resources they need to succeed, and don’t skimp on tools. Invest in your business. When employees know they can talk to you about anything, they trust you as well as their teammates. Develop a collaborative atmosphere where everyone cares about the success of each customer’s product. Image above is A.M.P. – Automated Music Personality, the world’s first two-wheeled, self-balancing music player. About the speaker, Ted Larson of OLogic, Inc.
Ted Larson is CEO and Co-Founder of OLogic, Inc., an embedded systems research and development company with a focus on robotic applications and technologies. 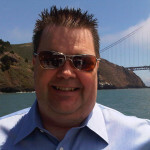 Ted has over 25 years of experience designing and building commercial software applications. His current interest areas are robotics, artificial intelligence, and embedded systems in consumer and professional electronic devices. Ted graduated from California Polytechnic State University with BS and MS degrees in Computer Science. He has worked on numerous robotics projects with leading corporations including Google, Hasbro, Savioke and Panasonic, and is a champion of all things robotic. Ted has also spoken at several of the past ROBOBusiness Expos, the annual Silicon Valley conference that has helped business leaders understand where the market is going, and which has assisted in implementing their robotics vision within their organizations. NIO is one of a new breed of companies that is designing and developing high-performance, premium, electric, autonomous vehicles. They are a “global startup” with R&D and design experts based in Shanghai, Munich, London, San Jose and eight other locations. NIO has significant technology and management background from leading automotive and high tech companies, and is also #6 in LinkedIn’s Top 50 Startups to watch. Within a few months, NIO will launch its first production vehicle in China: the 7-passenger electric ES8 SUV. In this talk, Henry Wang will provide an overview of NIO and its quest to revolutionize the electric vehicle landscape. He will articulate the challenges that NIO faces, and how the company approaches technology and the impending world of autonomous vehicles. Henry Wang is Director of Programs at NIO in the critical Digital Systems group. His primary focus is the program management and development of next generation electrical and communications architecture. These systems form the backbone of electrical hardware and software controls of an autonomous electric vehicle. Henry holds a BS in Mechanical Engineering and an MBA. 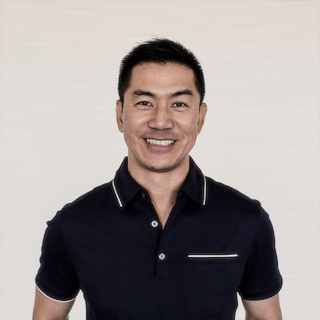 His recent experience entails product development positions at Apple, and at Tesla where he played an integral role in the engineering development and launch of the Model S and Model X.